Download this free guide and cheat sheet to implement the latest practices for capturing before and after photos. Are you using photography in your office? Are you taking before and after photos of your patients? if so, you’ve probably noticed the importance of these images for expectation management and marketing and illustrating your services. Capture high quality clinical photographs. Take consistent before and after photos. Train you staff to take standardized medical images. Checklist – 6 commandments of mastering clinical photography. Who should download this guide? Anyone capturing photos in the aesthetics, cosmetic, medical spa, dermatology, plastic surgery vein treatment or wound care fields. 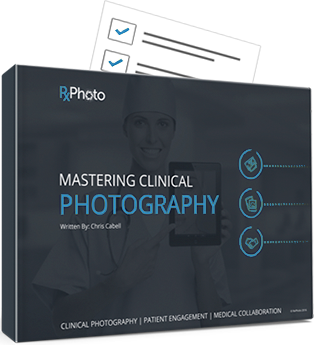 Know any clinical photographers or practices who could use this guide?